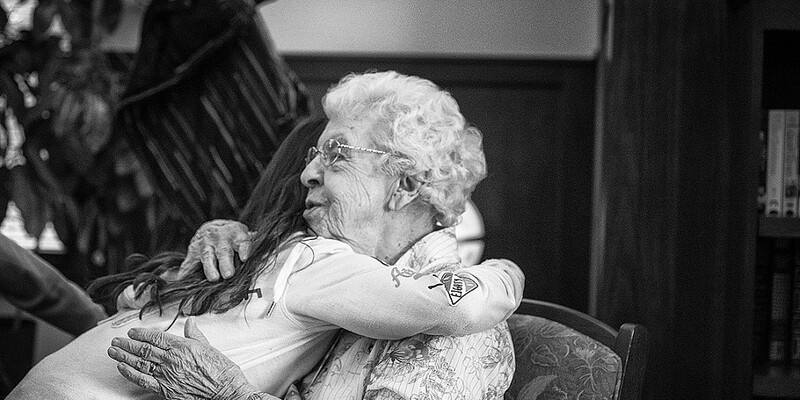 Photographer Kara Counard is behind an ongoing, community-based photo project which connects students from Wisconsin schools with elders from nursing homes all around the state to learn about storytelling through the power of photography and local history. After completing her portrait series Women Over 90, documenting the beauty and vitality of elderly women in the Green Bay area, Kara felt compelled to continue photographing and sharing the stories of older folks, especially with the younger generation. This drive and vision turned into The Honoring Elders Project. For the project, students (usually 4th and 5th graders) are first taught the fundamentals of interviewing and photography. 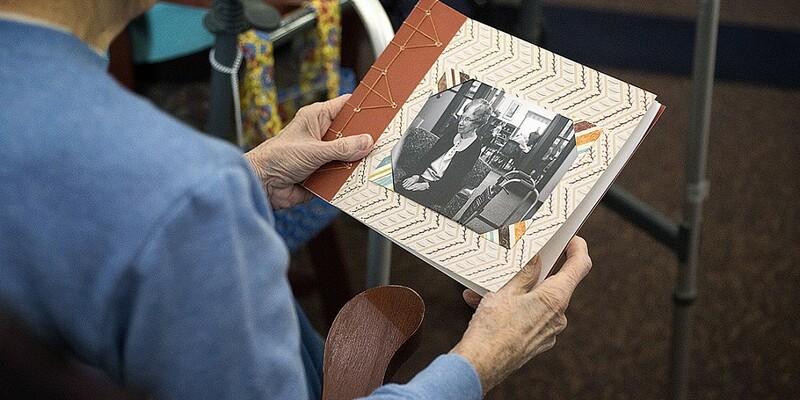 Once they have these skills, the students go to elderly communities and are paired with residents to conduct interviews, take pictures, and ultimately create books on the lives of their new elderly friends. The project, in Kara’s own words, “teaches and empowers the young ones, while drawing attention to the lives of these beautiful folks.” Students are given freedom to stretch their creative muscles and concoct one-of-a-kind documents which chronicle the lives of their elderly subjects through the power of photography, all the while learning important lessons about history and legacy.